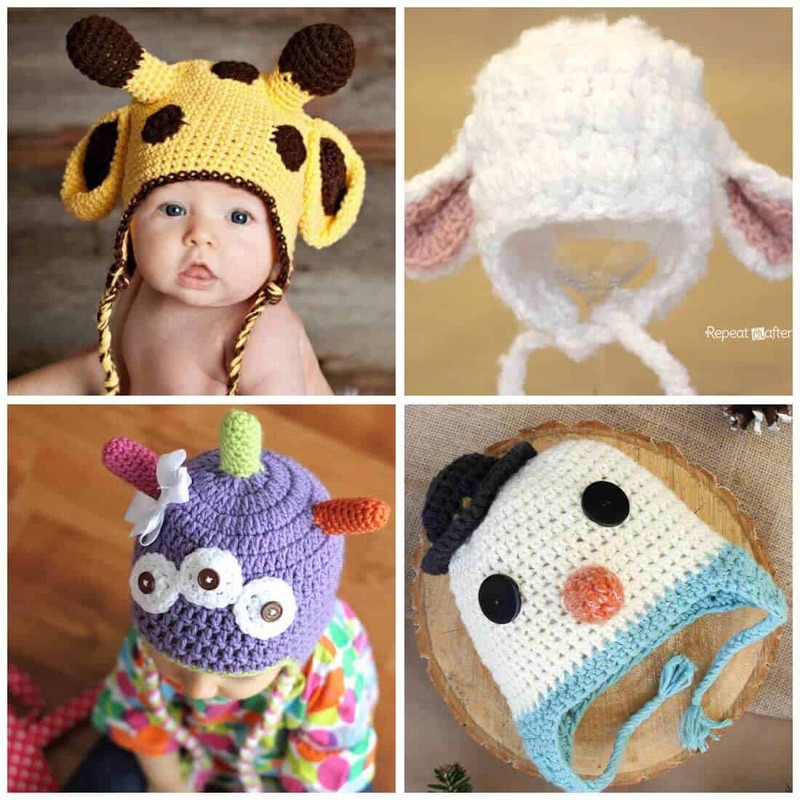 When I first started crocheting, some of my favorite things to make were crochet hat patterns for kids. 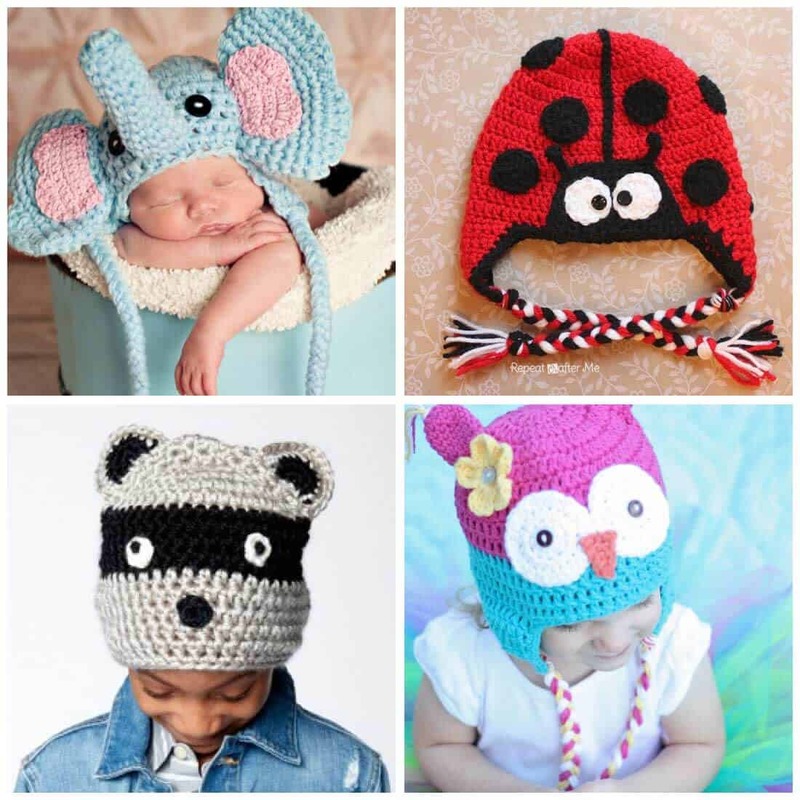 I enjoyed making crocheted hats because they were small, manageable projects that I could whip up during nap time or after my kiddos went to bed, and I also loved being able to make fun gifts for kids. 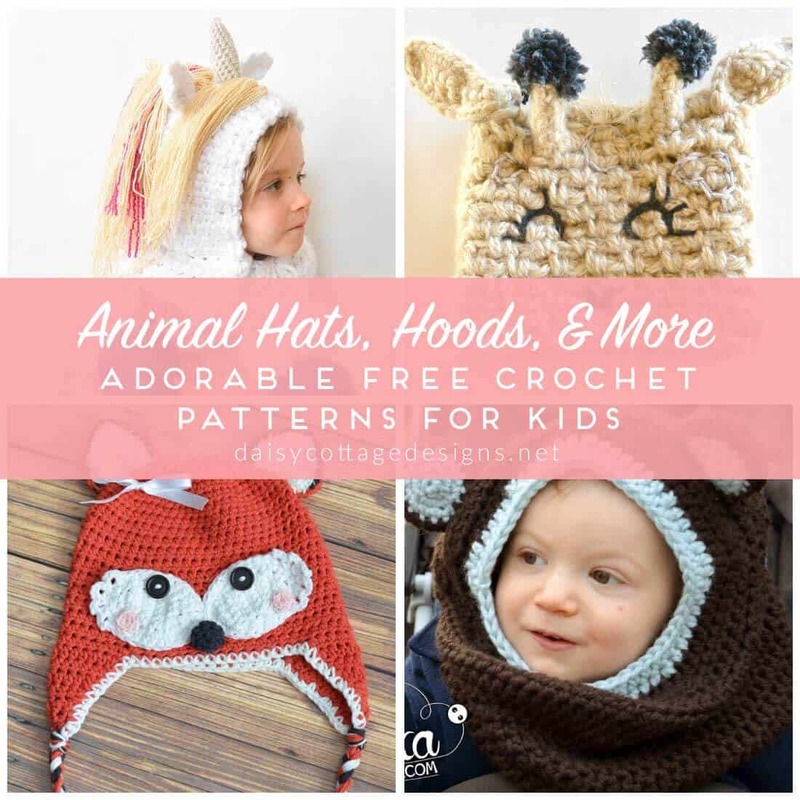 Also, it was so easy to find adorable free crochet patterns for hats. Even still, I love making crochet hat patterns. I don’t do it as often as I would like because lots of my ideas are for blankets and other larger things, but I have some ideas that I need to write down so I don’t forget to make them before cold weather rolls around again (it’s already in the 90˚s where I live). 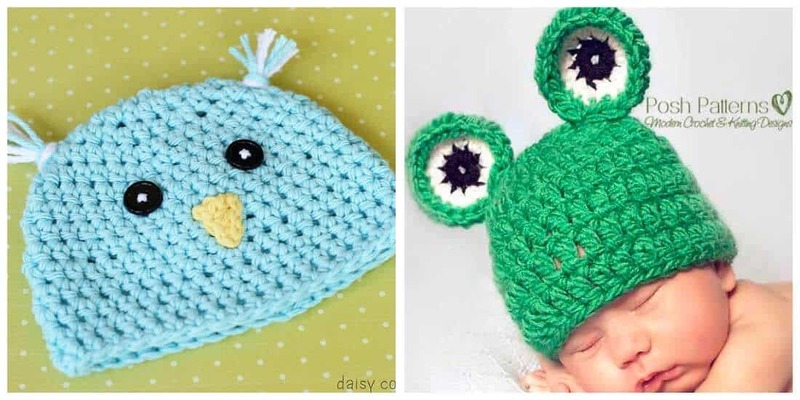 You’re going to love these crochet hat patterns! Be sure to save this link on Pinterest for future reference. 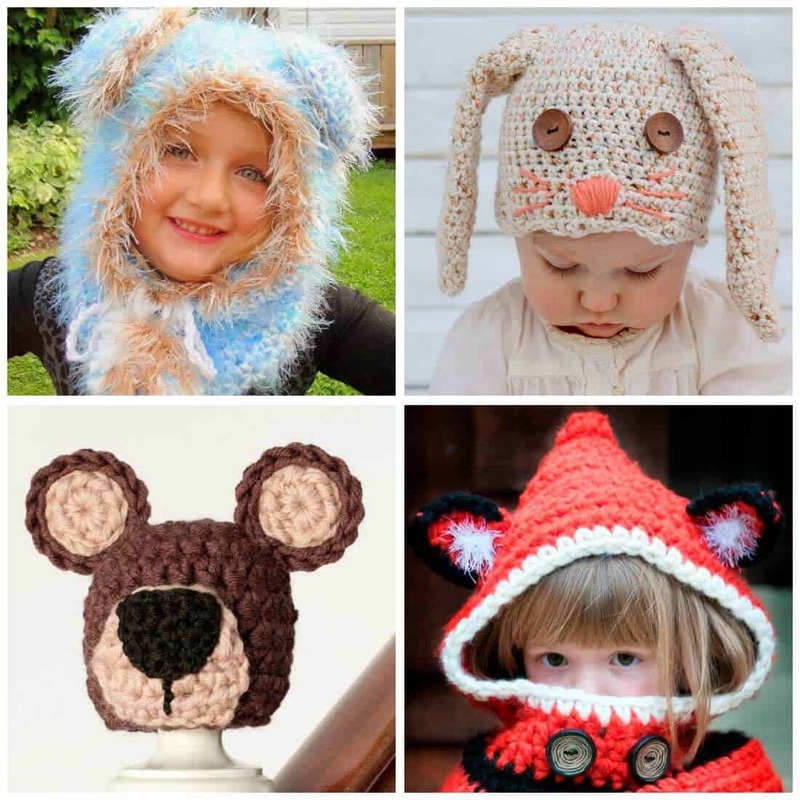 If you like one of these crochet hat patterns, you can find the links under each collage. Blue Bear Hood What kiddo wouldn’t love wearing this cozy, fuzzy hood?! Use this free crochet pattern to whip one up. Crochet Bunny Hat This hat is perfect for easter and Spring! Crochet Teddy Hat Short on time? This hat is super quick because it uses a thick yarn. Fox Hooded Cowl Foxes are in. Cowls are in. This is a double win! Crochet Unicorn Hood I’m loving this unicorn crochet hat! It’s adorable. Can you believe it uses a free crochet pattern? Crochet Giraffe Hat Have you been keeping up with that poor pregnant giraffe? Maybe you could make one of these while you watch the live cam?! Crochet Fox Hat I’ve loved this crochet hat pattern since I first saw it a few years ago. The little circles on the cheeks add an extra special touch! Bear Hooded Cowl Little boys and girls alike will love this fun hood! Giraffe Crochet Hat Another fun giraffe crochet hat pattern. I love the antlers on this one. Crochet Lamb Hat Another hat that’s just right for Easter and Spring! Crochet Monster Hat This hat brings back memories. The baby in that picture will be 5 next week. Snowman Crochet Hat This fun snowman crochet hat is adorable and kids will LOVE it. Elephant Crochet Hat This crocheted elephant hat looks so stinkin’ cute on that little baby. This would be a perfect gift for the Alabama fans in your life. Crochet Ladybug Hat While I hate sewing appliqués on hats, I think it would be worth it to make this adorable ladybug crochet hat pattern. Crochet Raccoon Hat A raccoon has never been so cute! Crochet Owl Hat One of my first patterns, I still love this crochet owl hat pattern. Spring Chick Crochet Hat This hat whips up quickly and is perfect for Easter babies. Frog Crochet Hat The eyes on this little hat are adorable, aren’t they?! Bright and fun crochet hat patterns for kids of all ages! 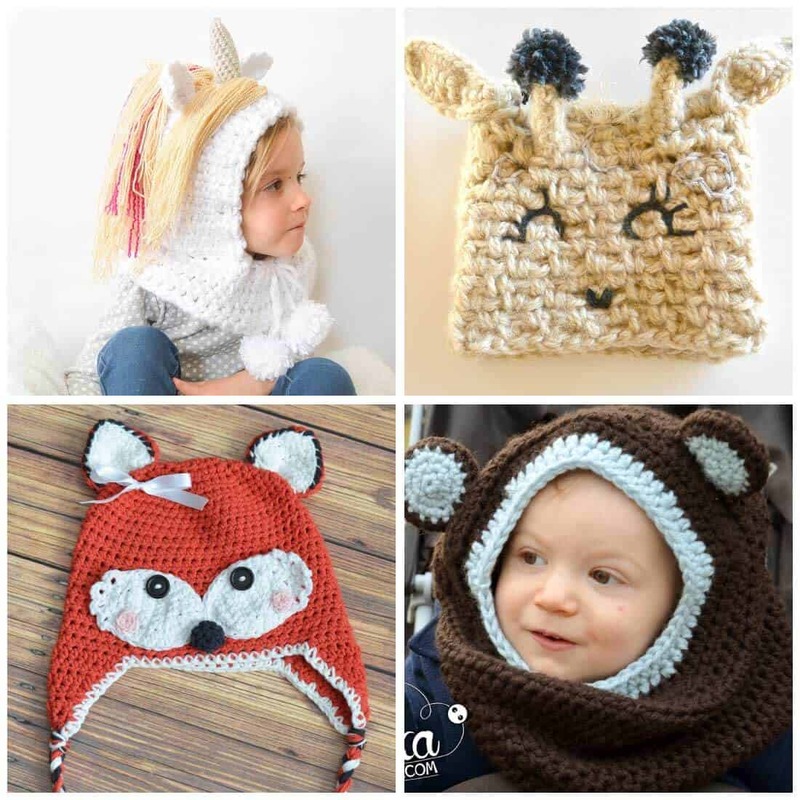 Crochet cowls, crochet hats, and more for the little ones in your life!